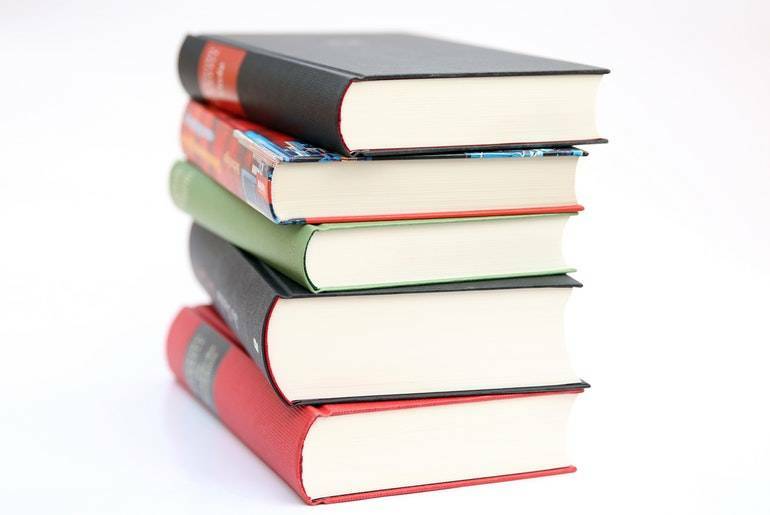 According to studies, almost 74 percent of people do not read more than one book a year, and only about 10 percent of the people read one book a week. These 10 percent of people are the highest paid individuals in their respective industries and equally, live up to the mark in their personal life. Bill Gates, one of the richest men in the world, told in an interview with NYT that he has been reading about 3-4 books a month for years. Similarly, Elon Musk Zuckerberg, Warren Buffet, Oprah Winfrey and other modern-age entrepreneurs and influencers have found that their reading habit has played a major role in accelerating the success in life. About 88% of rich people read at least 30 minutes every day. People who read one book a month on a particular subject get into the top 10% professionals within 5 years. The University of Sussex claimed that reading for as minimum as 10 minutes can reduce stress levels up to 70%. The people who read more have more knowledge and show better productivity at work. Reading is linked to better confidence and decision making, high self-image, good communication skills, and rich vocabulary. If you are looking to develop a reading habit in order to accelerate your success, start by reading the following books. Awaken the Giant Within, published in 1991 offers the readers an insight into taking control of their lives by modifying their psychology. It is one of the all-time best sellers that inspires readers to stop letting emotions dominate their judgment. It pushes the readers in the direction of discovering their true purpose in life and give their best performance in every field they enter. Published in April 2005, this non-fictional self-help book is the key to the survival of a business in the fierce competition in the market. In his masterpiece, Winning, Welch covers a wide range of subjects and answers numerous questions in a pragmatic way. Anyone who is passionate about achieving success can benefit immensely from this book. Winning appeals to all levels of organizations from employees and workers to managers and CEO. Jack Welch signifies the importance of a proper business strategy and teaches the readers his business philosophy based on extensive research. The book is divided into three parts. The first part focuses on the leadership qualities required to bring about enormous changes. The second part focuses on the strategies needed to cope up with the brutal competition. The last part deals with maintaining a proper work-life balance. Simple writing and effective strategies are helpful in making readers think differently and positively about work. Start With Why, originally published in 2009 provides the readers with answers as to why the success of only a few successful people is constant, why some organizations generate more revenue than others, and so on. Most of the famous personalities might not belong to the same field but they surely have one thing in common. All of them start their journey towards excellence by asking the reason behind why something happens. The book comprises multiple stories, each of which provides an entirely unique perspective on things. When people started to question why something happens, it paves the way to success. Start With Why provides a platform on the basis of which people are inspired, businesses run, leaders lead movements. The author makes the readers aware of the fact that instead of following their idols blindly, finding the reason behind their success turns out to be more effective. Check out the official website here. The War of Art, published in 2002, draws the reader’s attention to the different kinds of blocks that hold us back from achieving what we desire and deserve. It profoundly discovers the factors that cause hindrances in the path of a person wanting to achieve the life of his or her dreams. Steven Pressfield inspires the readers to overcome any barriers and blocks and be the master of their lives. He makes the readers aware of the fact that true excellence lies buried below a mountain of several blockages. He throws light upon one of the biggest problems that are responsible for refraining people from achieving their goals, that is, procrastination. It is a result of poor judgment. The author makes the readers realize that once they remove the blockages and work with complete self-perseverance, nothing can stop them from winning their inner battles. Hustle: The Life-Changing Effects of Constant Motion is the number 1 bestseller in happiness, personal success, and knowledge. Published in 2015, the book revolves around the idea of enhancing productivity. The author makes the readers aware of the concept that when one puts all focus on the goal and striving towards it relentlessly with full momentum, then the productivity achieved is highest. Jesse Tevelow also informs the readers that over the course of life, opportunities will come on their own. So, instead of sprinting for them, one should avail the opportunities he or she is blessed with. For people who are trying to figure out their means of survival in this competitive and entrepreneurial economy, Hustle: The Life-Changing Effects of Constant Motion is a perfect read. Jesse gives the required push to anyone who is on the lookout for a jolt of inspiration and a nudge needed to work hard. Which one of the books you are going to read first? Let me know in the comments below. Nakul Grover is the author of Superhuman In You and has been writing on self-improvement for over five years now on his website Positive Life Project. He loves to spend his leisure hours in reading books and learning new skills.